A guided walking tour along Tottenham’s historic High Road, visiting award winning public realm projects and areas that could potentially be improved. Enjoy the sights and be part of the discussion of what is next for Tottenham High Road. What next for Tottenham High Road? Tottenham is thriving and is a vibrant mix of old and new linked together by the historic High Road. Running from the new White Hart Lane stadium to Seven Sisters station, Haringey Council want to strengthen and celebrate Tottenham’s High Road. If you are familiar with Tottenham, you’ll have seen improvements to Tottenham Green, the War Memorial, Bruce Grove railway bridge, West Green Road Pocket Park, Holcombe Market, new shopfronts and Albert Place over the last few years. We are now focussing on the future and what is next for the High Road. On this tour you will visit completed projects and areas that could potentially be improved. 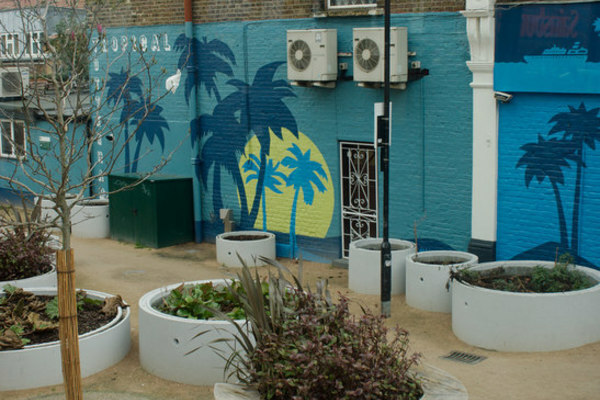 Enjoy the sights and be part of the discussion around what is next for Tottenham High Road.